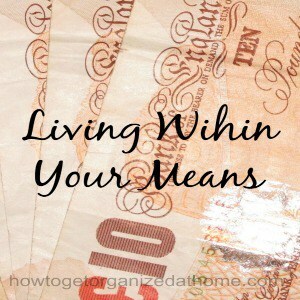 If you are looking to get on the right footing financially then you might need to work out if you are living within your means. This process is difficult to face because you need to assess your life style as well as your budget. If you haven’t prepared a budget for a while then you are going to need to start here. You need to know the money that you have coming in each month and the money going out. It is only when you have these figures will you be able to work out if you are living within your means. Are you are unsure what this term means? How are you able to check your financial status? You need to look at your budget. You need to pay all of your bills and your living expenses from the money that you have coming into your home each month. If, when you have completed your budget there is a negative number, then you need more money each month than what you are currently earning to pay all your bills, or reduce your current bills. If, when you have studied your budget and you find this negative number, you will then need to reduce the amount that you are spending. This is the only way that you can make your budget balance and start living within your means. You might need to find areas of your budget where you can cut back the spending each month, so that the money that you have coming in is more or equal to the money going out. Like many people in this economy, you might have acquired debts and they can get to the point of being out of control very easily. You need to make a debt plan; it is very simple to make. But, it will take time and commitment to stick to the plan. There will be a point where your income’s used for you and not paying off items that you have purchased many months before. You need to list all the money that you owe, include in this list the interest rate that you are paying and the amount that you pay back each month. Put the list in order with the first one being the oldest which could incur the most interest charges, then continue with the next oldest. You need to reduce your spending so that you are within your budget and you will need to find a little bit more too. This is so that you can pay more than the minimum amount off each month for the top debt. Continuing with this plan until you have paid off the first debt. Then add the money that you were paying off the first debt to the second debt in the list. Continue going down the list until you have paid all debts. Don’t use any form of credit unless you have the money to pay it straight off. If you are living within your means and you have a debt plan in place, you will get to the point where the money that you work hard for you each month. You will not pay the credit company more of your money in interest payments. This way of life will teach you to save for the items that you want and you will not rely on credit companies to pay for your living expenses. Living within your means doesn’t mean that you can’t go out and enjoy yourself, or to buy new items. It means that you can do these things if you have the money, and not borrowing money that will take time to pay back and will cost you more in interest payments. 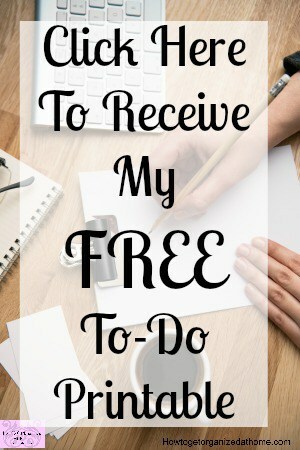 You will become financially free and this is a great feeling knowing that the money that you have coming into your home each month is going towards your bills and the items you want.